Joyce’s first novel was also his most overtly autobiographical, and in its earlier drafts, was even moreso than the final version. It tells the story of the youth of Stephen Dedalus, from childhood until he finishes college. 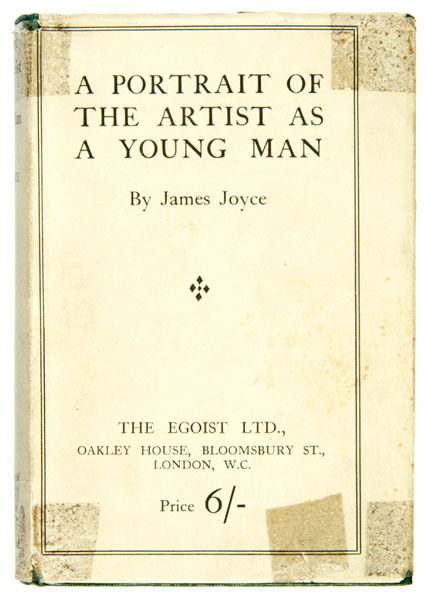 The first publication of it was as a serial in “The Egoist”, a literary magazine based in London after it was urged on the editors by Ezra Pound (who had at that point read only the first chapter). It would continue to be published for a total of twenty-five installments, concluding in the September 1, 1915 edition of The Egoist. Later, it would be published in its more familiar novel form, and go on to become one of the most respected and critically acclaimed novels of the twentieth century. More immediately, it established Joyce as a major talent, talent whose promise would be more fully realised in his later novels, such as Ulysses and Finnegan’s Wake. Tagged 1914, A Portrait of the Artist as a Young Man, Feb 2, James Joyce, Stephen Dedalus, The Egoist, This Is Serious Mum, TISM, Whatareya?.